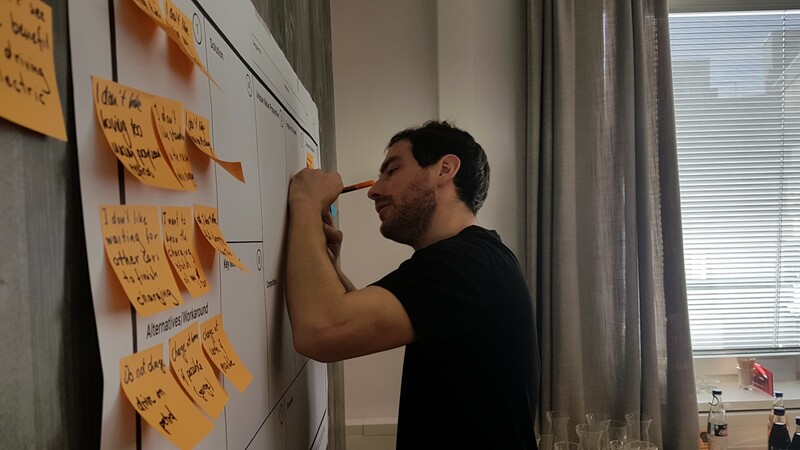 From an idea to a finished digital product: At the Digital Product School, interdisciplinary teams learn how to use agile working methods. We spoke with Sascha Rehbock, Managing Director of the Digital Product School, about the program. What is the Digital Product School? 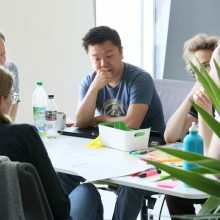 The Digital Product School (DPS) is a three-month training program offered by UnternehmerTUM GmbH as part of the Digital Hub Mobility initiative. The aim is to offer education and training for the next generation of digital product makers. At DPS, product managers, interaction designers, software developers and AI engineers work together in interdisciplinary teams. 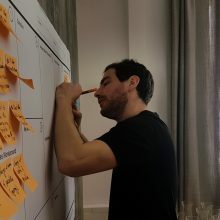 Based on a concrete customer problem, they develop innovative digital products while also receiving intense coaching from internal and external experts in their specific field and also in agile working methods and design thinking methods. The unique opportunity to experience digital transformation up close and to actively shape it was made possible thanks to cooperation between the Bavarian Ministry of Economic Affairs and international technology and mobility firms within the Digital Hub Mobility initiative: Audi, BMW Group, Daimler, Facebook, IBM Watson, Nokia, SAP, Stadtwerke München, ADAC, Google, Infineon, MAN, Deutsche Telekom and TÜV Süd. Who is DPS intended for? The teams at DPS include four roles: product managers, interaction designers, software developers and AI engineers. 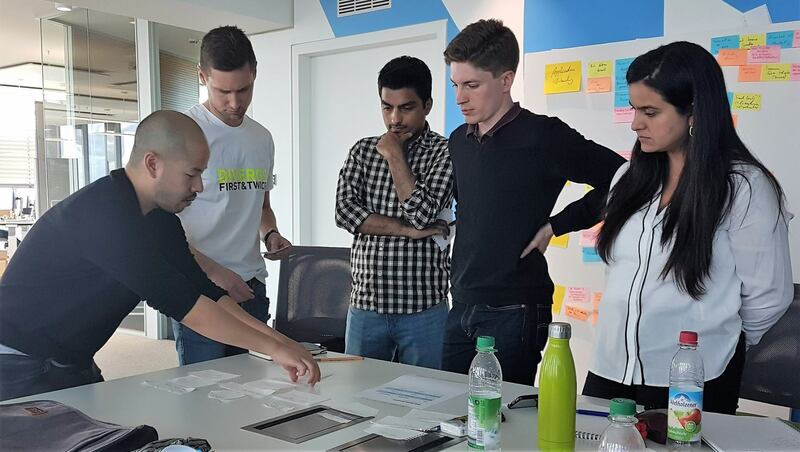 With their skills, the teams are able to independently and autonomously create a digital product. Every position is filled at least once and is taken on either by an employee from one of the listed enterprises or by a talented individual. Talented individuals in these fields, meaning master students and graduates, can apply on our homepage at http://dp.school. We receive applications from all over the world. The program can provide access to the German job market for international participants and gives the participating companies an opportunity to establish contact with skilled professionals who are so urgently needed. The program has the term “school” in its name. Is it that easy to learn how to develop innovative products? Yes and no. It’s not possible with theoretical studies — but is possible with practical experience! At DPS, teams work on concrete customer problems that they identify and validate themselves by conducting surveys. 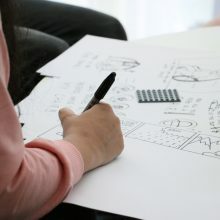 To solve the customer’s problem, they create a digital product. 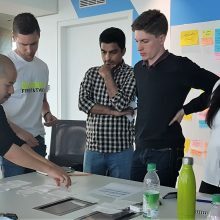 That means they learn the methods and techniques for digital product development (such as agile working, lean startup approaches or the use of design thinking methods) “on the job” here. Ideally, the teams notice on their own that their progress is much faster using these work methods and that their results are also better than with conventional methods. 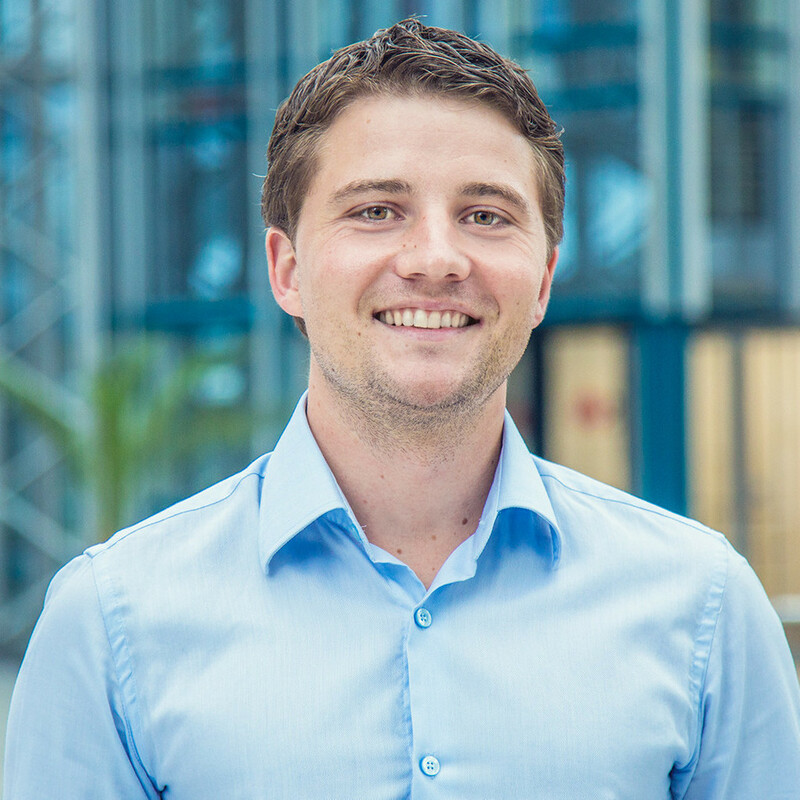 How do other programs offered by UnternehmerTUM, such as Xpreneurs, compare to DPS? If you want to view the development of students into entrepreneurs as a linear process (which is only true in rare cases! ), then DPS is at the very beginning: The program is aimed at students who want to experience how modern startups work and wonder whether founding their own company might be an option for them. 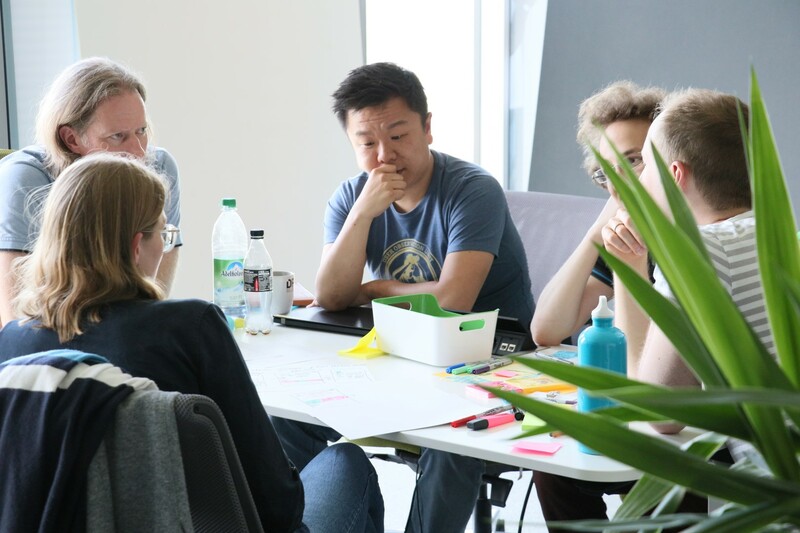 If a team at DPS becomes motivated to pursue a topic further and found a startup based on it, XPRENEURS, the UnternehmerTUM incubator program, would be the next step for them. That’s where young founders receive the support necessary to advance development of their product and prepare for market entry. At the same time, they’ll benefit from a large network of founders, experts and investors who stand by their side with advice, resources and of course also constructive criticism. Because we work in three batches, meaning three programs each year that last for three-months, it’s always possible to apply. Simply answer a few questions on our website http://dp.school and upload your curriculum vitae. We know a lot of skills need to be learned first, which is why we don’t rely much on strict selection criteria, but instead try to figure out what motivates each person. One important fact should be considered: the three months at DPS are intense! 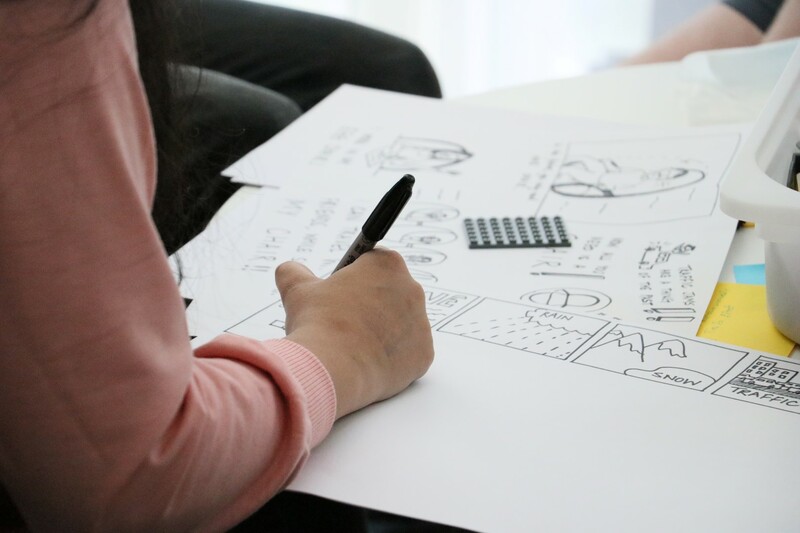 As a participant, you not only have to work in a very international team with different characters, but also develop, test and revise ideas and prototypes at a rapid speed – or discard them and start all over from the beginning! People who participate need to be ready to commit to all that.